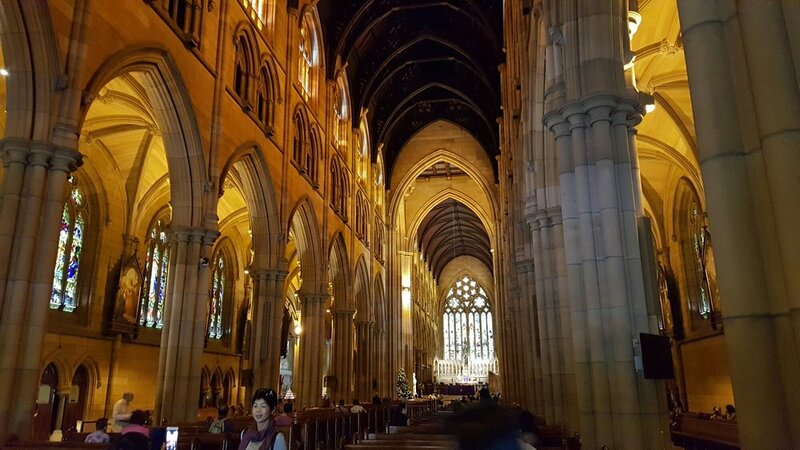 Saint Mary's Cathedral has evolved into a grandiose Sydney landmark over a a period of over 130 years. Situated along the east side of Hyde Park in the Central Business District it is visible from many different vantage points. 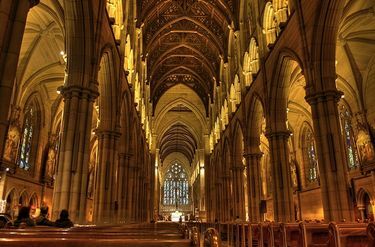 It is also Australia's largest church. 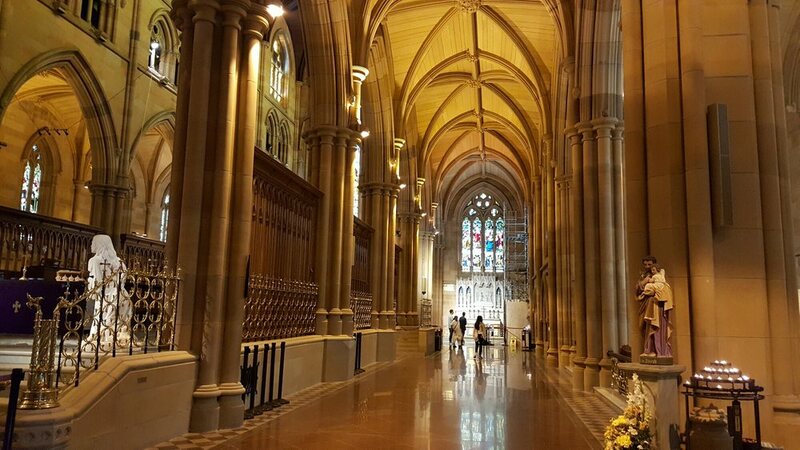 Featuring Gothic Revival architecture along the lines of the smaller and older St Andrew's Cathedral, the first stone for this beautiful Sydney landmark was laid back in 1868 after a succession of Catholic Churches, some of which were destroyed by fire. The Cathedral was finally dedicated in 1882, but it was only a portion of what it is today. The nave was not completed until 1928 followed by the crypt in 1961. And last, but not least the large spires on to of the two towers were not added until the year 2000 in order to improve the aesthetics of the previously square topped towers. While the design of St. Mary's Cathedral is original it certainly inherits many features typical of far more medival churches from Europe. 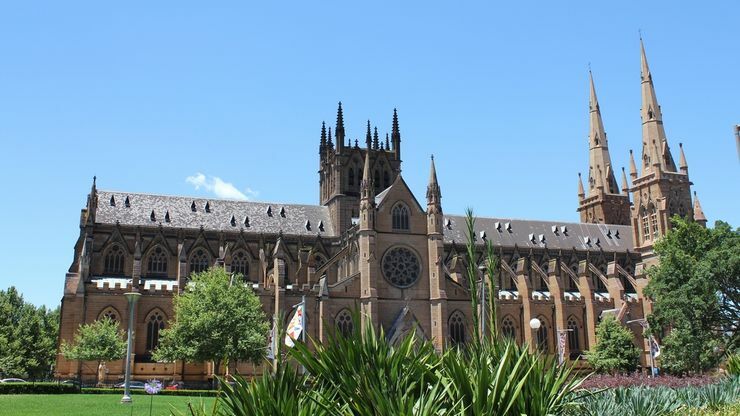 Due to the size of the project and the available location the Cathedral is oriented north-south breaking the tradition of east-west orientation. 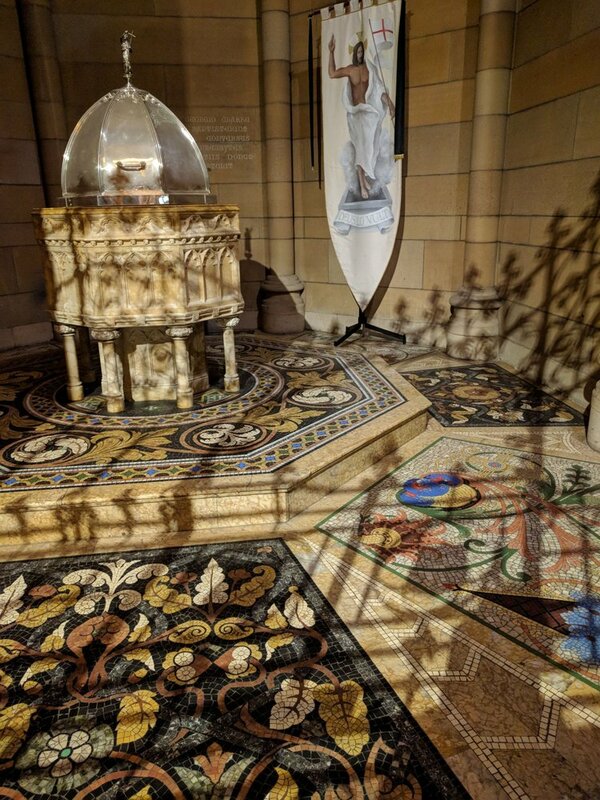 Forty pictorial stained glass windows and striking mosaic floors along with a myriad of other fine details complete this elegant and grand Cathedral. Nearby attractions: Hyde Park, Hyde Park Barracks Museum and the Australian Museum. By Train: St. James Station Station exits at Hyde Park just west of the Cathedral.